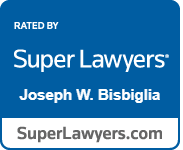 I am Joe Bisbiglia, the Santa Rosa criminal defense lawyer of The Law Office of Joe Bisbiglia. In my 15 years of legal experience, I have handled thousands of criminal cases, ranging from minor misdemeanors to major felonies. This extensive experience and in-depth understanding of the criminal justice system allows me to confidently and skillfully represent every one of my clients. At my firm, I am focused on integrity and do all that I can to protect my clients’ rights and futures through tenacious representation. I have a passion for defending my clients’ rights and care deeply about each case that I take on and every client I represent. Regardless of the charges you are facing, it is essential that you contact my firm as soon as possible, so that I can immediately begin building the strongest defense possible on your behalf. Find out about the passion I have when it comes to fighting for justice for my clients. My record of success demonstrates my ability to handle even the most complex cases. 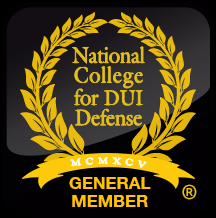 Schedule an initial case evaluation & I will immediately begin building your defense. Throughout my career, I have handled numerous jury trials. Because I have extensive misdemeanor and felony trial experience, I am not hesitant to take your case to trial if this is what is necessary to secure a favorable case result for you. In fact, I prepare every case as if it is going to trial. 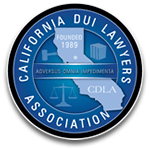 My practice extends from Santa Rosa to the surrounding areas, and I am genuinely passionate about defending men and women throughout my community. If you are interested in talking with me about your case, call me for an initial consultation over the phone! During this phone consultation, you and I can talk about the details of your case and start working toward a positive solution. Although you are most likely concerned about what your future holds, you do not have to work through this trying time on your own. I am here to assist you – contact my firm today.